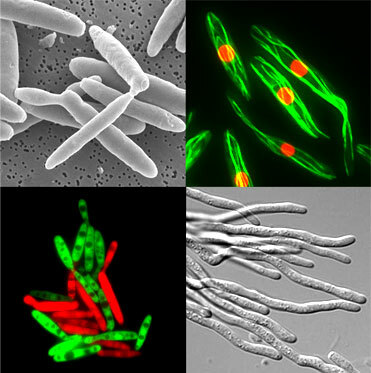 Welcome to the home page of the Fungal Molecular Cell Biology Group in Exeter. This site intends to give you an overview of our research activity and the impact of our work. It also provides you with PDF files, additional background information and movie clips (PC and MAC format) that illustrate the dynamics and organisation of the fungal cell. Please contact us if you have further requests or questions.